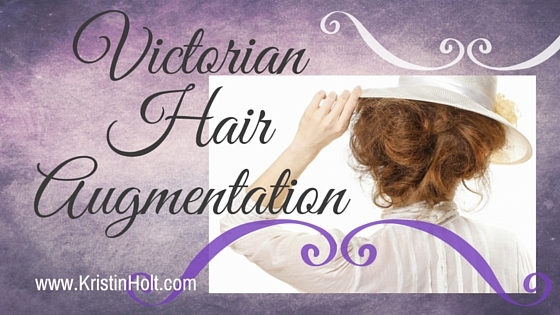 Given Victorian-era women (no matter where they lived in the world) seldom trimmed their hair, much less cut it, their hair usually grew to astonishing lengths. 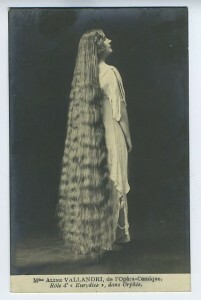 “Edwardian Rapunzel” from Flicker and Pinterest. From personal experience (I’ve worn my natural hair past my hips) and discussion with modern hairdressers, it’s apparent not everyone’s able to grow hair past a certain length–and the comparable body part is seldom the ankles, or even the waist. 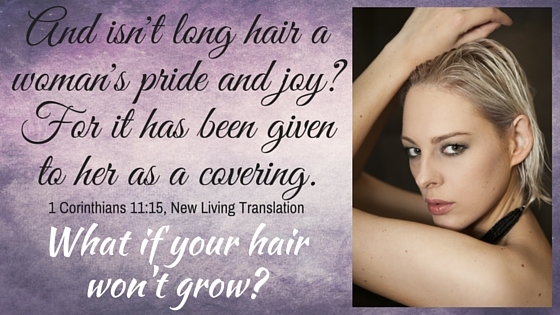 What would YOU have done, had you lived during a time where one sign of a woman’s femininity was the length and quality of her hair…and you’d been born with thin, fine hair that couldn’t reach your shoulders without hair extensions? 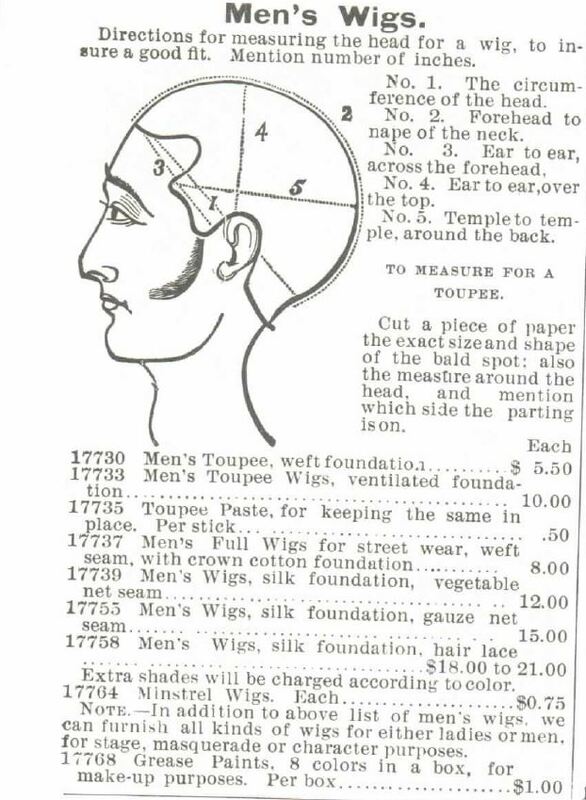 The Montgomery, Ward & Co. Catalogue of 1895 and Sears Catalog of 1897 provide an historic view of solutions readily available to American women (and men) in the late Victorian Era. Montgomery, Ward & Co. Catalog no. 57, Spring and Summer of 1895. 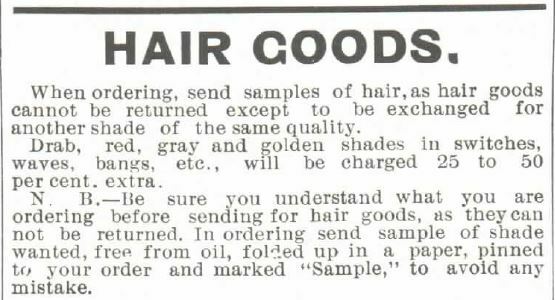 Instructions of how to order Hair Goods, including sending in a snip of hair for the best match of hair pieces. 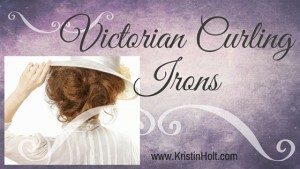 In my recent post, L-O-N-G Victorian Hair, I illustrated the 1890’s style of cut bangs that were curled about the forehead. 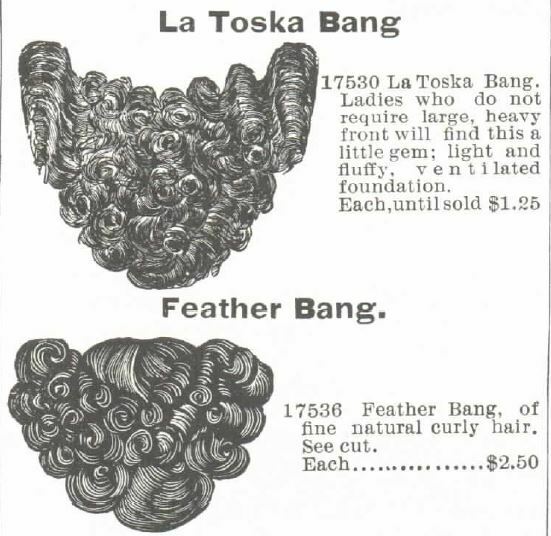 For those who didn’t want to cut off hair that had taken a lifetime to grow, simply to bow to the whims of modern style, hair pieces were readily available, at least by the late 1890’s (when cut bangs where ‘in’). 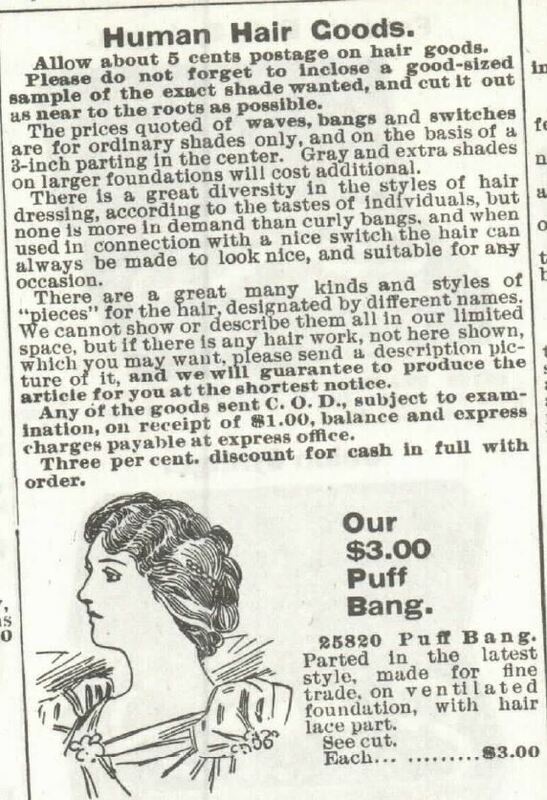 Such pieces would also cover thinning hair (a woman’s nightmare in any era of time) and add volume to any head of hair. Montgomery, Ward & Co. catalog no. 57. Spring and Summer of 1895. Montgomery, Ward & Co. Catalog no. 57, Spring and Summer of 1895. 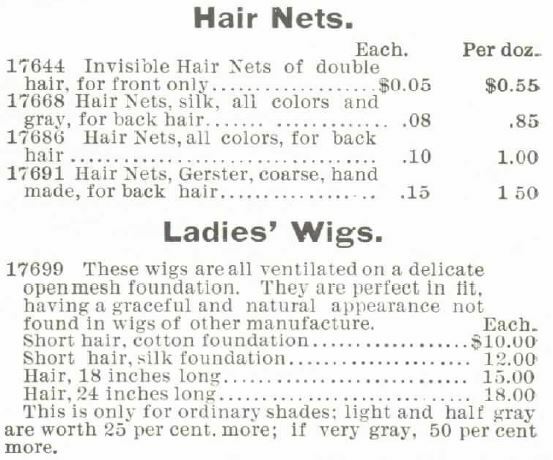 Human Hair Goods, part 1, in the Sears Catalog No 104 of 1897, p 342. 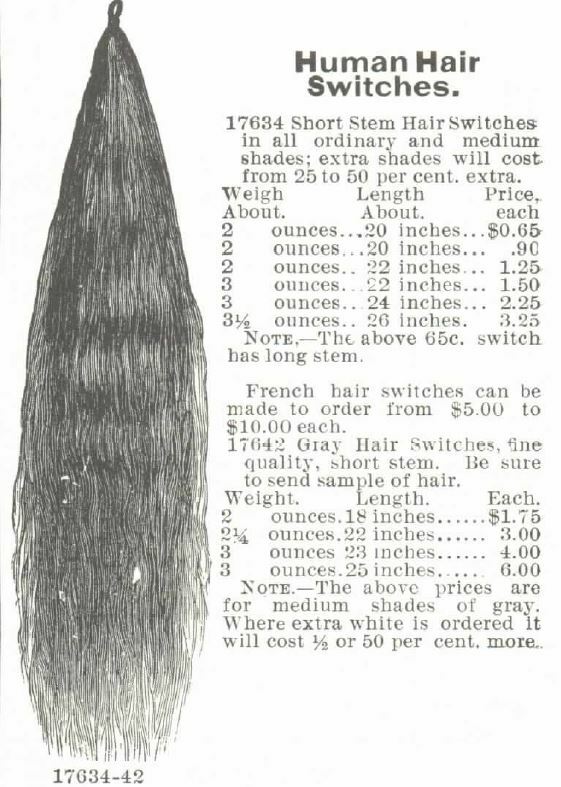 Human Hair Goods, Part 2 of Sears Catalog no. 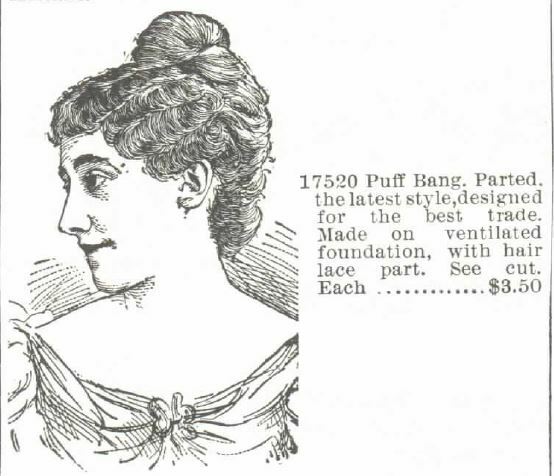 104 of 1897, p 342. 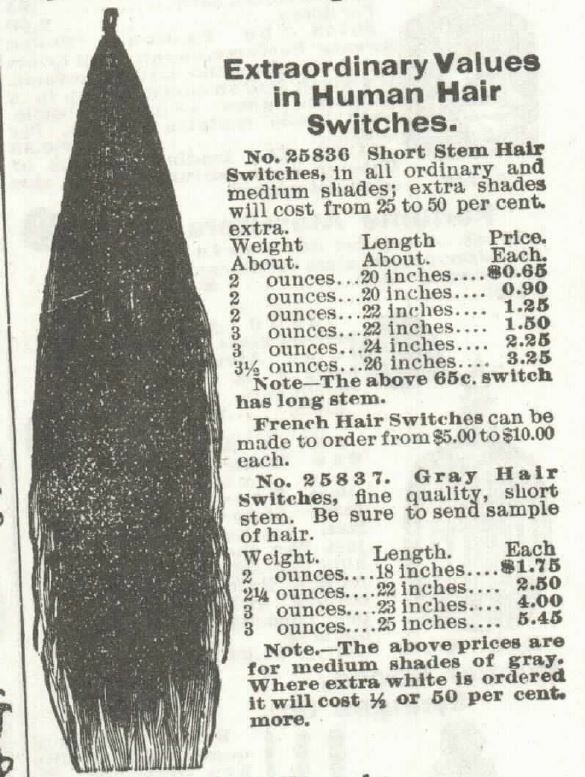 Given my hair is “very gray” (though I’m still in my 40’s), a 24″ wig (perhaps to replace my own lost when the doctor told my husband my head must be shaved to save me from a very high fever), would cost me (per the advertisement) a 50% surcharge because of the color. 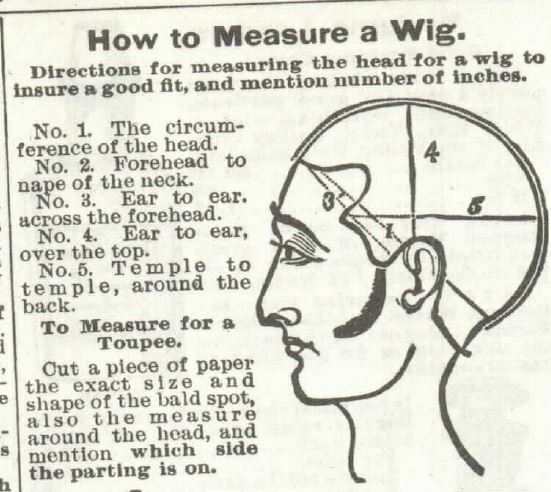 In today’s money, such a wig would cost more than $1,000. 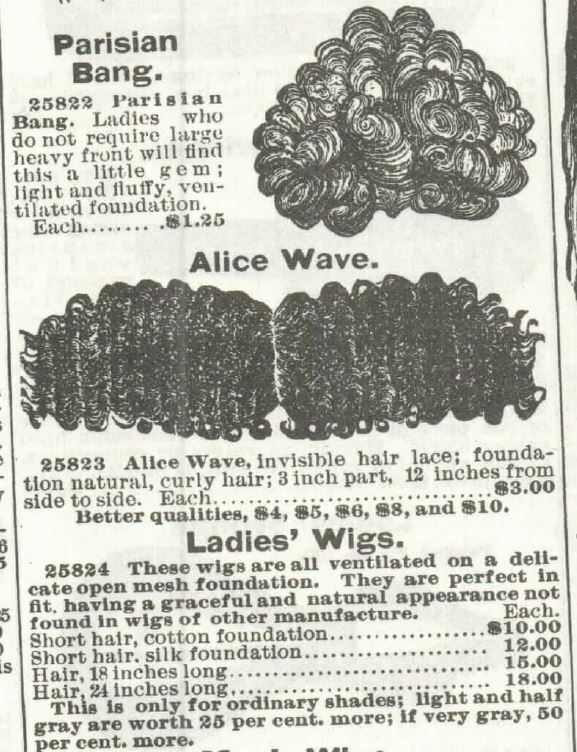 Perhaps, therefore, it’s not reasonable to say all women had access through a catalog to hair pieces. 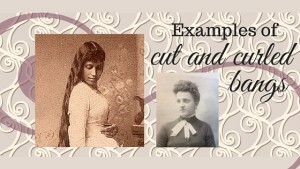 It might be more reasonable to say the well-to-do could afford hair pieces and augmentation if they so chose. 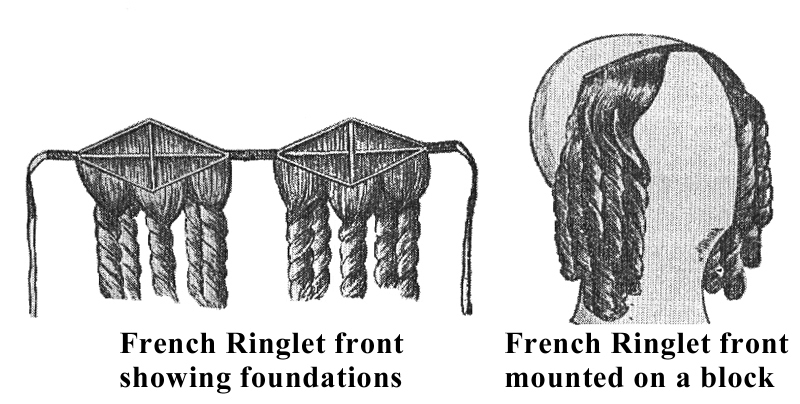 For ladies (or ladies’ maids) who wished to create something (such as a braid to wrap about their up-do) or even to add fullness to their coiffure, swatches of hair was sold. 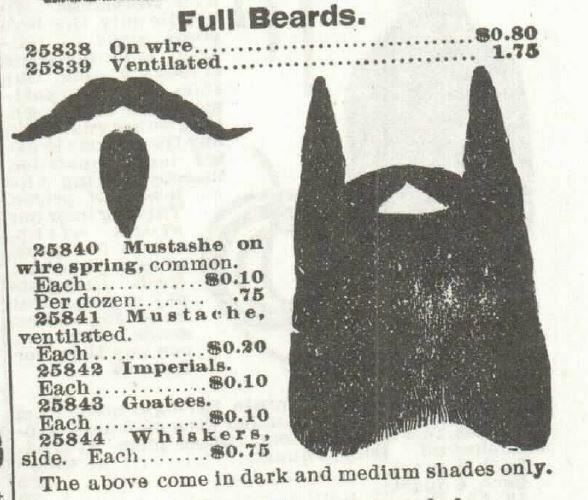 I have a hard time believing these bears and mustaches looked natural. This warning appeared as an insert in several editions of the Matrimonial News in the 1870’s. While this image is readily available (without citations) on the internet and various websites, I believe this image (and the caption) comes from at least one mail-order bride nonfiction title by Chris Enss. 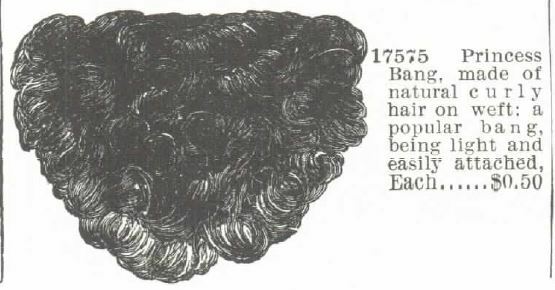 Apparently false hair had been used as early as 1873 (and likely before). 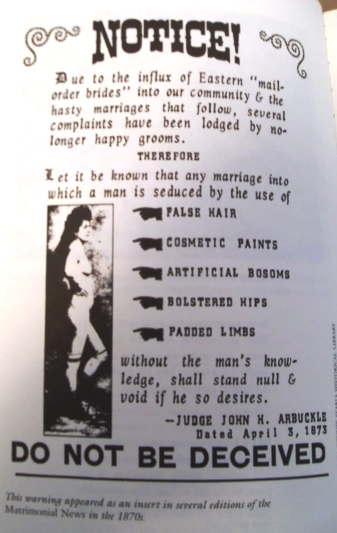 But note the list of everything else this Judge John H. Arbuckle found as grounds for divorce from a mail-order bride: cosmetic paints, artificial bosoms, bolstered hips and padded limbs. Guess what? 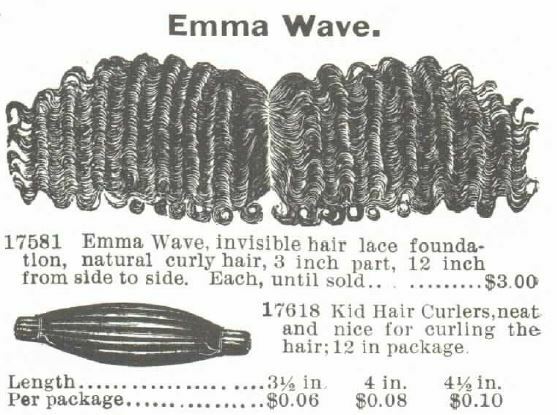 Most of these were available for purchase from Sears Catalog and Montgomery, Ward & Co. 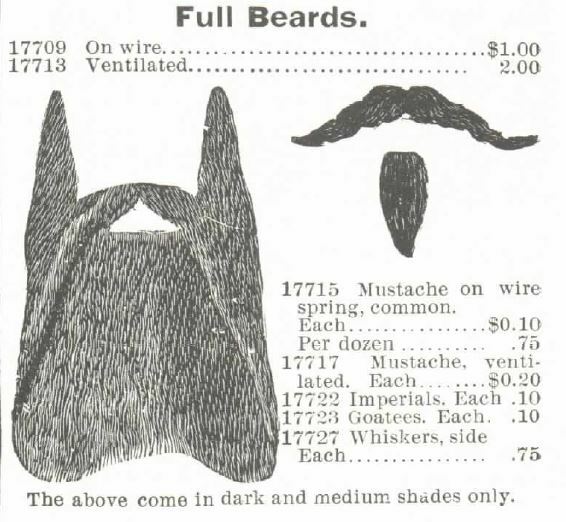 Catalog by 1895. Then a woman didn’t need to make her own such appliances. Yeah. Especially hair pieces. After all, when hair you’ve spent your whole life growing comes out in the bristles of a hairbrush or tines of a comb, why not hold onto it? Women made “rats” of their own hair, literally balls of the fallen hairs to then fill out the hairstyle pinned upon their heads (result: a fuller bun or French twist). The color was right (until they aged or unbleached), a lady knows where it came from, and it cost nothing whereas wigs and hair pieces cost plenty. …perhaps it should’ve been the unfounded claims of potions, elixirs (external or internal use), and washes. 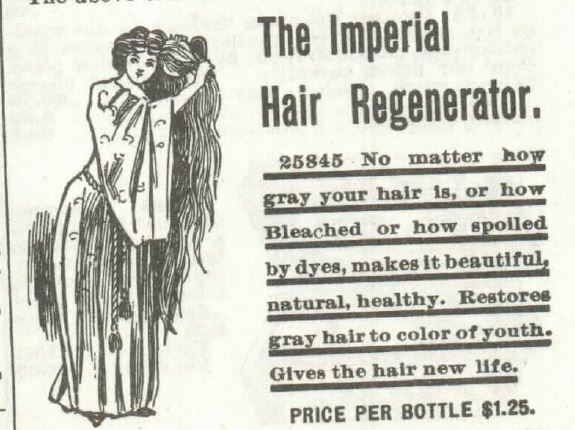 I might be persuaded to believe a potion could add moisture, smooth, and perhaps redeem damaged hair (to a degree)…but return gray hair to the color of youth? Really? Who believed this stuff? 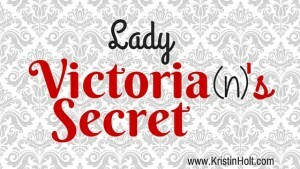 In reference to the WARNING by Judge John H. Arbuckle, commercially prepared other augmentation devices (without Victoria’s Secret) what was a Lady Victorian to do?